Affordable leg wear to prevent your pins getting cold! 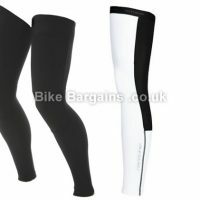 Leg Warmers are cycling specific clothing designed to stop the worst of the British weather from chilling your legs. Typically available in a handful of sizes (Extra Small to XXL) and mainly plain colour schemes, they’re a handy addition to your wardrobe given our unpredictable climate. Their versatility makes them a popular choice, as they can easily be rolled down or removed once you have warmed up sufficiently. 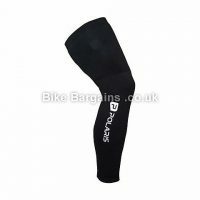 Although they can be used for any form of cycling, leg warmers are mainly associated with road cycling. Below are leg warmer deals which I’ve found, listed with the highest discounts first. Oh and if you’re after arm warmers and knee warmers, then I have some of those listed too!